If you’re reading this because you’ve decided you can move to the beach, congratulations! Living in a beachside home is a life experience many people dream of, and now you’re making it a reality. As movers in the southern California area, we’ve done a lot of moving to the beach, whether it’s Santa Monica, Huntington or Long Beach. The best way to make moving to the beach work is to be ready for the change of the tides of beach life. Take these tips and get moving! Beach towns primarily operate economically as vacation hotspots. At times, the low population density of a beach town will make it feel like a peaceful, serene place, but the vibe flips when visitors flock in by the hundreds. Tourists are the lifeblood of many of the local businesses in towns by the shore. In the busy season, these shops may be overcrowded. In the slow season, these shops may not even be open at all. Restaurant reservations may prove impossible in these busy months, so going out becomes a greater chore. “Living where you vacation” becomes a little tricky in the times when other people are usually on vacation. The caveat to all this? In the quiet moments, perhaps the serenity is as good as advertised. Vacationing is usually a refuge from life’s normal problems. These problems don’t just disappear in towns that are usually vacation hotspots. Expenses will generally go up, like parking, groceries, and maybe even utilities. Rent’s already not cheap in these high demand tropical areas. As mentioned before, the problems of living in a place meant for tourists not residents factors in also. Each beach town has its own share of issues that many other residential areas won’t have. Get used to the fact that this is life, not a vacation. The beach is an attractive destination in California, because it’s the perfect place to be on a hot day. Of course, most days in California are pretty hot, especially in the summer, when most americans move. 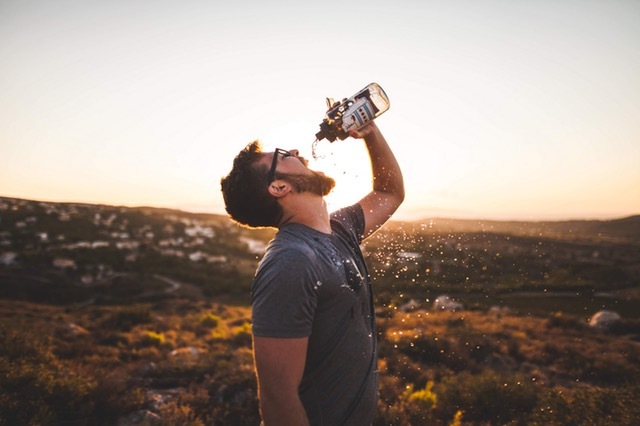 Make sure to keep plenty of water closeby on the hottest days, especially on moving day. In these hot areas, you’ll want to make sure the air conditioning in your home is strong - and in case it doesn’t work for any reason, you have a fan or two as an effective backup. Sticking to moving day, here’s a tip the pros move: make sure to use floor protectors on wood floors to prevent sand from tracking into your home. The unloading process involves many repeated trips inside and back outside. Those can lead to a rather exasperating and pesky sand buildup. It’s hard to get rid of sand when it tracks. Movers can also purchase throwaway shoe covers or “booties” to prevent sand on their shoes from getting into the home. Floods and hurricanes become even more threatening near the beach. Those who want to live in these areas have to prepare for the worst case scenario. Adequate insurance to cover any potential losses in a storm is a start. Then, anyone who wants to live in a beach house should make sure they have the shutters to cover any vulnerabilities in their home, from doors to windows. Residents should also have their ears tapped to the national weather service, or at least the local news, to make sure they have ample time to prepare for any and all storms when they will come around. There’s a lot of activities that people who move to the beach consider picking up. Consider this blog an endorsement of biking. 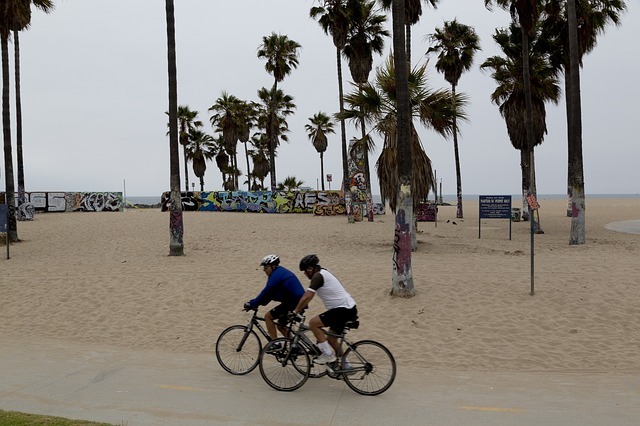 Cycling is fun enough on its own, but cycling by the beach is a uniquely serene activity that doubles as exercise. At any rate, exercising by the beach makes any activity seem better, so after a move to the beach is a great time to work up a beach body. Plus, most beach towns are relatively self-contained, so cyclists can ride around to many of the places they wanted to go anyway. Get a good lock and you may be able to stop stressing about paying 20$ to park everywhere you go. The Best Beaches to Visit in L.A.